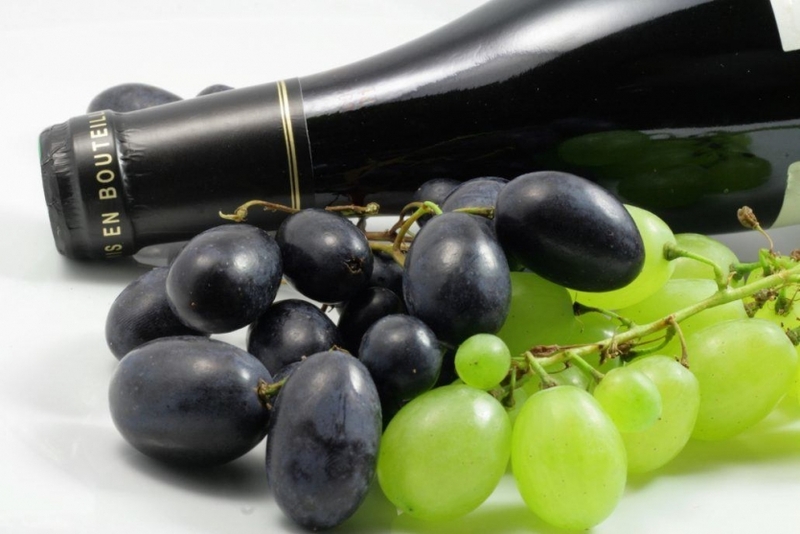 In a study published in the Journal of Nutrition, researchers evaluated the effects of grape polyphenols in adult men classified with metabolic syndrome. Metabolic syndrome is a name for a group of risk factors that occur together and increase the risk for coronary artery disease, stroke, and type 2 diabetes. Participants in this double-blind, crossover study included 24 men aged 30-70 years of age who were randomly assigned to consume either a grape polyphenol product or a placebo for 30 days. There was a 3 week wash-out period between treatments. The men maintained their normal physical activity level and normal diet. They also were told to avoid polyphenol-rich food during the trial period. At the end of each dietary period, blood pressure was measured and several different tests were used to analyze vascular function. When compared to the placebo period, the grape polyphenol treatment period resulted in lower systolic blood pressure and an increased blood flow in the brachial (arm) arteries. An indicator of blood platelet “stickiness”, known as sICAM-1, was also reduced during the polyphenol treatment period. The results of this study indicate that grape polyphenols may positively influence vasorelaxation, blood pressure, and lower circulating cell adhesion molecules, improving overall vascular health and function, especially in men with metabolic syndrome. Barona J, Aristizabal JC, Blesso CN, Volek JS, Fernandez ML. Grape polyphenols reduce blood pressure and increase flow-mediated vasodilation in men with metabolic syndrome. J Nutr. 2012;142(9):1626-32.